So once fitted it started 3 / 4th kick - so a decent improvement, However after about 30 seconds died on me and it was tricky to restart. Progress of sorts and will be working through fine tuning as suggested above. I am wondering whether the choke is working correctly as well? how long do you run with the choke on? Is the choke cable too tight so when it's off the choke is still holding on a wee bit and flooding the engine? That's a good point and I will need to look at the adjustment. I have a few things to look at and don't think I am far off from sorting this out. To answer your question the choke was on when it died. Did you try to restart with choke off and a bit of throttle? I've just had the same problem with my 185cc budget cylinder kit rebuild for the past 6 weeks ! I have finally got mine starting 2nd kick and running very strong with the following . This setup is running very strong with good throttle response and strong acceleration . There is still a slight power loss from 1/2 to 3/4 throttle but if i back the throttle off slightly and then nail it it will rev right through to WOT. Still a little tuning to do. Now the reason my scoot was so intermittent on starting and running was this . Firstly there was an airlock in my fuel pipe between the petcock and the filter . ! . The other reason for poor starting which was so difficult to find was a slight air leak between the carb and the inlet manifold. Because the Jetex carburettor is so close to the petcock shaft joint it is prone to binding when the throttle is opened up so I hadn't been fully seating the carburettor on the manifold stub to avoid a sharp bend in the shaft.! it was only about 1/4" off of fully seating but that allowed air to be drawn in between the carb and manifold along the splits in the plastic bush . Hi Johnny, Thanks for the update and your answers. So I spent the afternoon yesterday trying to sort out my starting issue based on the suggestions provided in the thread. So choke on - 2nd kick and it starts. Great! However, it then dies after about 40 seconds and then refuses to start. I then clean the plug and then got it to start again (within a few kicks) but didn't want to idle without my assistance on the throttle. It was also quite smokey at this point. When I took the plug out there was smoke coming out of the barrel - not masses (think vapour level of smoke) but enough to see. I also seem to have a sprung a leak of oil which looks like its coming from the exhaust header but this was there when I stripped the old barrel off. So I have an internal engine issue - e.g. broken seal as well as the starting issue. 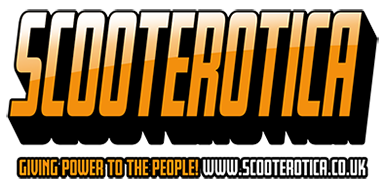 I am now at the point where I have wasted so much time sorting this scooter out (as well as money) in all the time I have owned it - just over 12 months (and have only been out on it once and there is no fun in that is there!). I now have a hard decision to make as to whether its worth ploughing more time and money (which I don't have masses of) on it or just simply get shot of it (at a loss). At present the second option is more preferable. I am going to take a little while out and think next steps. In the meantime thanks to everyone who has input and spent their own time giving me answers. so .....any progress ? what did you decide in the end . I have been having exactly the same issues as you for the past 2x months . Sometimes it starts and runs other times it won't start or starts and then cuts out shortly afterwards. one thing that I have found consistently with mine is when it won't start or cuts out the spark plug is always pretty dry . I have frequently found air trapped in the fuel pipe and I haven't a clue how it is getting in there and why it won't vent out back through the tap to the tank. I'm almost certain that its a lack of fuel causing my issues because when it goes it goes like stink and accelerates with power and idles quite well too. My next step is to drain the fuel tank (again) through a paint filter to check for water and rust etc then dismantle the fast flow petrol tap and give it a good check over and overhaul. I will also fit a new fuel pipe and make sure there are no fuel leaks and see where that takes me. Like you I am devastated that I have missed all the good Summer riding weather this year and haven't been able to enjoy riding it at all yet..... I have also thought several times of selling it or putting it in the back of the garage but I am a persistent B and don't give up easily. let us know how you are getting on . Hi Johnny, Back again after my little sulk! so thanks for making the effort to ask me what I did. In order to conclude this problem I have enlisted some help to sort this one out who is local to me (wish I had found this person months ago!). Once I have had time to get it sorted I will report back. You may recall from an earlier post of mine that I had a gunge(oil) in the exhaust post and significant build up in the exhaust as well and seepage generally. When I rebuilt it I didnt take too much care and attention to sort this out (my mistake). I still have a minor seepage of this so I am now down the line of replacing the drive side oil seal and might as well do the bearings as well at the same point. Whilst I am at it I am going to buy a decent GP crank to go with the 185 top end as this will need to come out anyway. I'll also get him to check the timing as well. So whilst I am devastated like you about the Summer come and gone I am determined to get a few miles onto her before the bad weather! Will report back when I have some updates. Dont forget,if your currently running a standard crank (Li,SX,TV type)and your changing to a GP type crank,the taper will be different and you'll need a different flywheel.